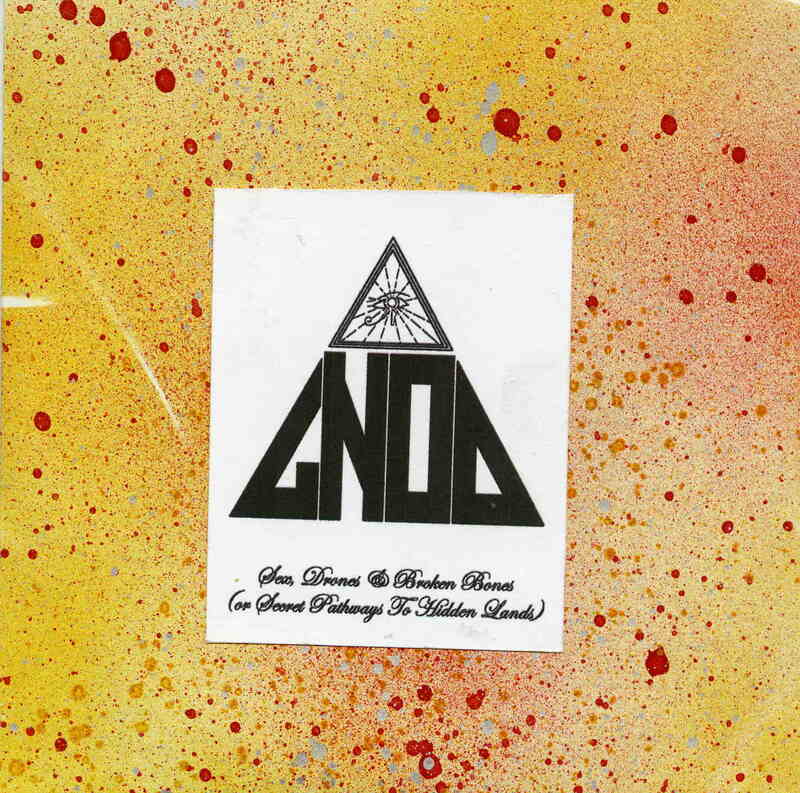 This is another limited edition CD-R from the UK based drone masters, Gnod. It features 6 tracks in 71 minutes and a lot of strange stuff. Hidden starts things off and is about 8 minutes. Very spaced out with flutes, chimes, and a lot of strange noises. It’s too Sunny to Share is 9 minutes and it tries to keep a sort of a happy melodic thread to it with flute, chimes, some slow drumming, feedback noises…later some keyboards and spoken voices come in. Strange. Frostbitten sounds like something that should be in a horror film and is quite a bit louder than the first two tracks and you also notice this change quite a lot. Trippy. Pathway is a 10 minute long trip and the sound quality is noticeably muffled. The drone that is the main theme in the song is deep and low fi, and layered over is the horns, chimes (they can’t seem to do without them), hand percussion and strangeness. Nearly Died takes a lot of patience. This is a 19 minute trip to another universe for sure. Find Land ends the CD with a quite strange trip as well. This is some seriously strange stuff and for sure one of the bands more experimental things.